Come Eat, Laugh and Sing-Along at Canada's 'Must-See' Musical! Meet our singing Mountie, Hockey Player, Anne of Green Gables and more. Full of laughs, our two hour show features all-Canadian music; from rock n' roll classics to maritime folksongs and modern pop. 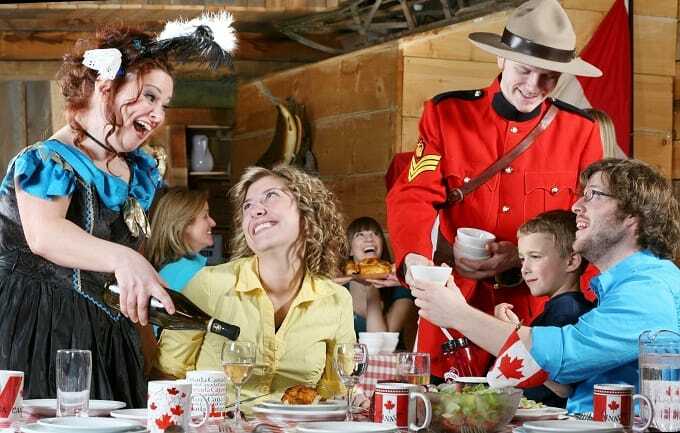 While you are enjoying the show, our performers serve you our famous all-Canadian five-course, family-style meal. French Canadian Pea Soup, Grade Eh? Roast Beef, Fresh Atlantic Haddock, Manitoba Roast Chicken, Maple Chocolate Cake and More!